A few years back, I found myself rooting through cupboards in a familiar, desperate search for chocolate. Fortunately, we didn’t have any and this threw me back upon the suffering I was experiencing and gave me the opportunity to wonder what was driving this. For the first time in my life, I experienced a terrifyingly bottomless well of yearning without a story attached to it. The absolute rawness of this emotion was so consuming that I dropped right back into unconsciousness only to awaken a moment later as I was about to tear into some unsweetened baking chocolate. I was that desperate to not feel this. The intensity of it made me tune in again to what was going on and I came to the realization that this yearning had been with me as for long as I could remember. It was what had been running and ruling my moods, choices, self-image… my entire life as I knew it. It was what had been behind nearly every life decision and goal I set for myself. It was also why, once attained, nothing was ever enough. “I” wasn’t enough. Trying to stay with this, and to stay connected with my body to avoid bouncing back into unconsciousness, I went through several more cycles, only managing to stay with it for seconds at a time. I realized that I had been running from this all my life and attempting to numb myself insensible to it with junk food, impulse shopping, hobby-collecting, hyperactivity and more. All of it infused with excruciating, agonizing desperation that I just barely managed to keep concealed from my own awareness. I had attached stories to it in order to avoid fully feeling it, projecting my Gollum-sized need onto external attainments. But nothing was ever, ever enough. Intense fear arose that I would die, or be trapped in this state forever. Or all my fears would be realized and I’d become someone so consumed by overwhelming need that my loved ones would be forced to abandon me. Every scenario my mind threw up was absolutely catastrophic. Eventually, I was able to allow the yearning in, to fully feel it and in a sense to merge with it. To own it. To stop seeing it as separate from myself. To no longer project it outside myself onto something I must be or have in order to be a valuable human being. As soon as I allowed it, it settled into me surprisingly and anticlimactically peacefully. And something shifted. As soon as I stopped resisting the yearning, the suffering it had caused melted. The idea that there was something in me that wasn’t complete or valuable without the eternal seeking for more fell away in that moment. For once in my life, I was enough right here, right now. This occurred in a matter of moments, but it was a quiet revolution. Since then, I have occasionally been caught up in the story of yearning, shame and not-enoughness, however it hasn’t been able to exercise the same hold over me because I know it’s not the ultimate truth. It falls away rather quickly when I become aware of it and look at it directly. And I’m no longer afraid to do so; I know it won’t kill me or throw me into a permanent state of suffering. The urge to not feel them is so instinctive that the direct experience of them rarely reaches consciousness, if at all. This is because it is Ego’s mission to keep us from this direct experience. The mind will scramble for an explanation as to why this suffering is here and will project it onto externals. Once we’re distracted by the story of those externals, we miss the point and we lose the direct experience of the emotion. This blocks our ability to heal. The only way to release their hold on us is to allow ourselves to fully feel them without the story. Hameed Ali says there is no around, over or under; only through. This is difficult and takes a disciplined practice to stay with the emotions that every egoic structure in us wants to shut down, deny or run away from. Whatever control we think we have is an illusion. The emotions already exist, they are a part of our experience. No amount of tensing up, splitting off, or refusal to feel will really keep them outside our experience. It just locks us into an adversarial role against ourselves and against reality. And fighting with what is is the definition of suffering. As soon as we split off from or refuse a part of our experience, we’re manufacturing our reality. There is no way to pick and choose what parts of wholeness we want to experience. Unity can not be divided. It’s all or nothing. When we look at it that way, it makes perfect sense and our knee-jerk attempts to exert control over reality look pretty silly. So why do we do this to ourselves? It’s because our egos developed when we were kids to protect us from real traumas in our environments before we could understand what was going on. Back then, they were intelligent coping strategies. But because they formed so early, our egos basically have the mentality of children. Allowing Ego to run our lives is like letting a three-year-old drive a car. Each Enneagram personality type picks its own poison relative to the contraction that occurs as a result of losing touch with their direct experience of wholeness. As a Four, mine happens to be yearning and shame. For a One, it might be anger, rage, or judgment. For a Five it might be fear or rejection. It can be extrapolated on triadic issues, object-relations issues, Hornevian issues, etc. but it’s vitally important that we tune into our own experience and find out what shows up for us. Trying to have an expected experience is just another way of attempting to control reality. The term poison refers to the fact that we can allow these emotions to eat us alive or we can give them space and permission to inhabit us fully. Resisting them causes suffering, allowing them opens up our awareness. 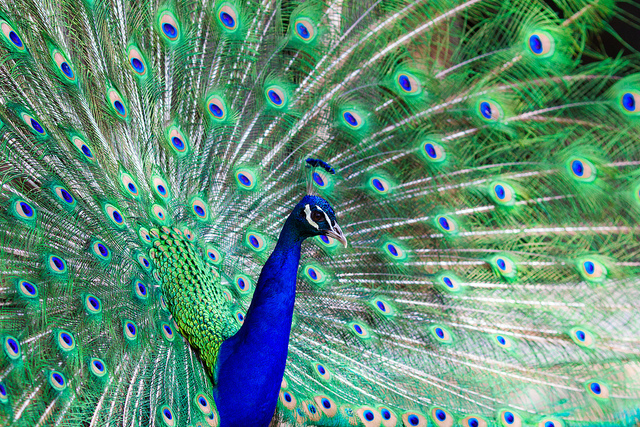 This is why the peacock is a sacred symbol in Buddhism: through eating poisonous plants other animals can not eat, they metabolize the toxins into their bright plumage. Similarly, we can metabolize that which causes suffering into that which allows us to reconnect with our direct experience of Essence, wholeness, the Divine, unity—call it what you like. From a metaphysical standpoint, a large amount of energy is required to awaken. What better way to provide that thrust than merging with our juiciest emotions? This absolutely takes courage, I will not minimize how difficult it is to confront head-on everything we’ve spent our lives denying. And this is why having a practice is vitally important: we must resource ourselves with the capacity to stay with whatever arises no matter how threatening it seems. This takes a fierce commitment and we must love truth more than our own manufactured realities. We must want to be free more than we want to be comfortable. I don’t recommend any specific practices because what works for one may cause another to go more deeply unconscious. I recommend exploration, and relaxation is a clue. Ego is a system of resistance and contraction that attempts to tense itself into heaven. Whatever allows you to relax and let your guard down will help release this structure, allowing you to drop beneath the discursive mind and tune into what’s really here.